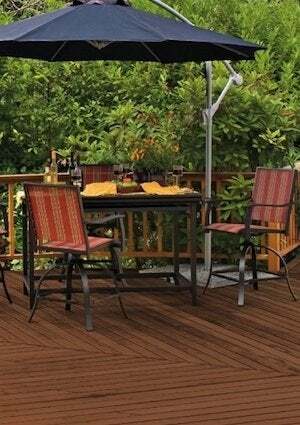 Perhaps the simplest part of finishing a deck is actually applying the paint or stain. Choosing a finish, on the other hand—well, that can get tricky. These tips can help you make sense of it all. First-time deck painter here. I have prepared my deck as well as possible, scraping away old paint and sanding the wood. I am just wondering what is the best and most efficient way to tackle the job. Is it better to go with a brush, a roller, or another option that I haven’t considered? Is there anything else I should keep in mind? Deck painting is a classic summertime project. For any homeowner, no matter his experience level, the key to success lies in the prep work. It sounds as if you’ve given due attention to this important early yet critical phase; others would be wise to follow your example. Once existing paint has been scraped away and rough patches have been sanded, the deck must be thoroughly cleaned. Only then is it ready to accept paint. On all but the most compact decks, the best tool for the job is a paint roller. Yes, keep a paintbrush within reach, and use it to work paint between boards and to cut in around posts. But the roller makes quick work of covering the flat, easily accessed portions of the structure. Many homeowners stumble over the question of whether to apply paint or solid-color stain. To an extent, it’s a matter of taste. But I’d opt for paint because it’s thicker and more durable; stain must be renewed more frequently. Also, paint does a better job of disguising imperfections. 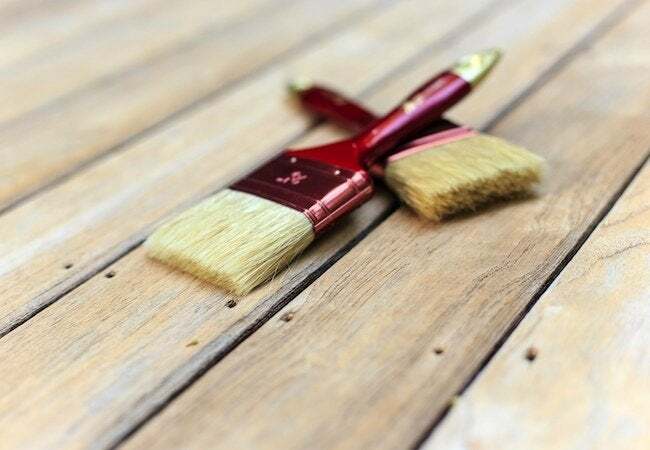 If, say, you weren’t able to remove all the paint from a previous paint job, stain would reveal the transitions between bare wood and areas of the deck that have residual paint. That’s the case even if you apply primer—and you should, whether you choose paint or stain. That said, if your deck runs close to the ground, particularly if it’s suffered from peeling paint in the past, then go for stain. A lofted deck with air circulation from below is less likely to harbor the trapped moisture that compromises the performance of a paint job over time. In other words, the choice between stain and paint isn’t only a matter of aesthetics; different finishes are better suited for different types of decks. If your deck has splintered wood and gaps between the boards—if, in short, it’s seen better days—then you may want to consider a new crop of outdoor finishes that not only add color and protection, but also correct minor flaws. Offered by a handful of manufacturers, these thick stains have a consistency reminiscent of cake frosting. For instance, Behr makes a product called DeckOver, which the company claims can fill cracks up to a quarter inch wide. Unlike earlier incarnations of similar deck stains, DeckOver and its competitors can go right over old paint and stain, so there’s no need to spend hours laboring with a scraper. (Giving the deck a thorough cleaning, however, remains absolutely necessary.) Other selling points: DeckOver can be used on composite decks and concrete patios or walkways, and it comes in 50 colors; custom mixes are available too. That level of convenience comes at a price. A gallon of DeckOver covers 75 square feet, and you’ll need two coats. At $37 per gallon, the job is going to cost roughly $1 per square foot. Meanwhile, a gallon of regular deck paint or stain would cost less and would typically cover about 350 square feet. If your deck is truly in rough shape and you have little time to put toward revitalizing it, DeckOver and similar products are probably worth the money. On the other hand, if your deck is in good condition, a regular paint or stain would do just fine.